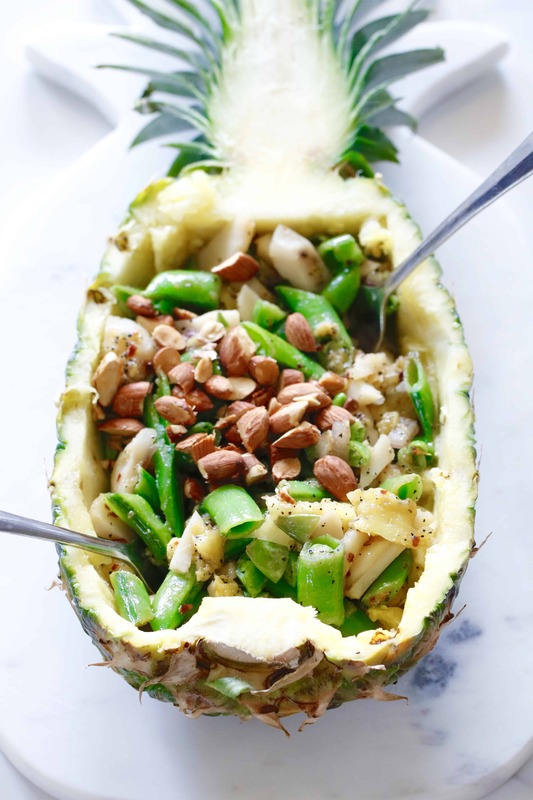 Pineapple Snap Pea Stir Fry- Gluten Free, Vegan, Whole 30-ish! I love pretty, simple things. Case and point, I loved the fact when I woke up this morning Mr. CEO had done and folded the laundry, without me asking! Also, I love pretty fruit, like pineapple. It just screams fun, life, and laughter to me. Perhaps it’s the yellow, the vibrant green, or maybe even just the thoughts of Hawaii that enter my mind. Regardless, I dig it! I also have a strong affection for the pineapple because of what it symbolizes over on the Bumps to Baby Community. If you haven’t taken a look, I highly encourage you to do so here! So, it’s without question I had to whip up a pineapple recipe this week in support of National Infertility Awareness Week. You can find out more about that here, but simply put, it’s a week we can show support for those men and women struggling to bring life into this world. To celebrate this week and the life we each keep on living regardless of our obstacles, I’m gifting you this present. And, I created a video for it too! 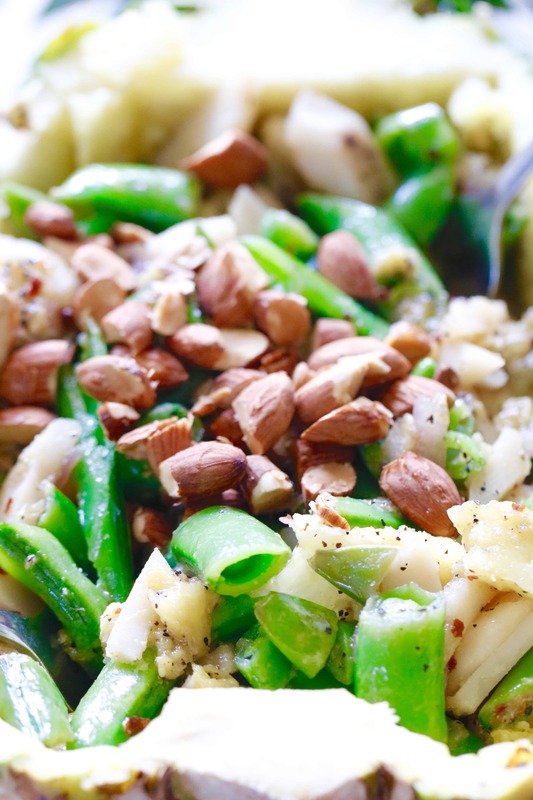 Celebrate the spirit of live, laugh, love with me and join in the Pineapple Snap Pea Stir Fry fun! 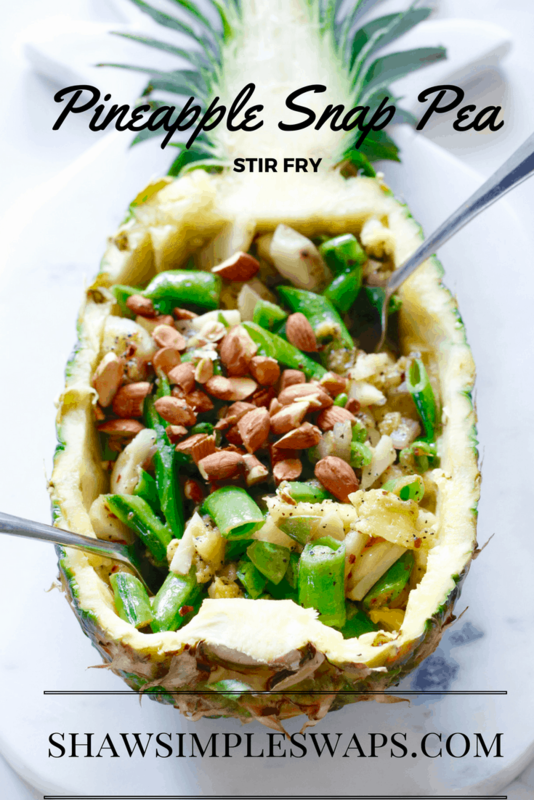 Pineapple Snap Pea Stir Fry is the best way to add a little twist to your traditional stir fry this year! To a nonstick skillet over medium heat, add the oil and onions. Add in the snap peas and continue to cook for about 5 minutes. Stir in the pineapple, soy sauce and spices. Cook another 2 minutes. Add in the water chestnuts and cook remaining 2 minutes. Remove from heat and serve in desired bowl of choice. Add lean protein like tofu, chicken or fish for a complete meal! 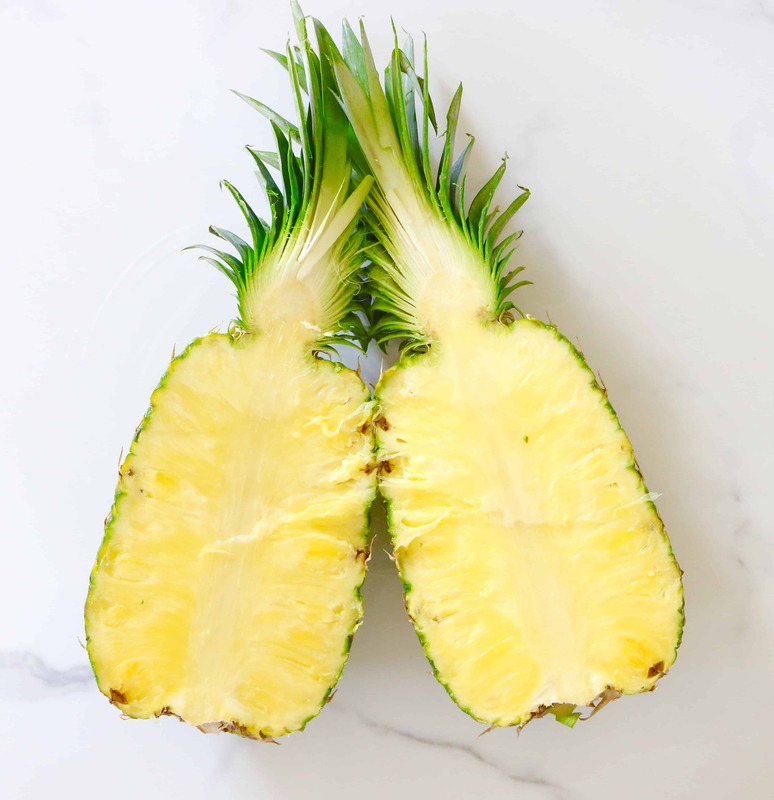 Tell me, what’s your favorite way to enjoy pineapple?! Stay tuned for an ultimate round up coming Friday!